Dear participants, guests and organizers of the International Education Exhibition and Forum SMART EXPO-URAL! 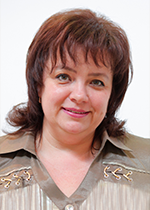 I heartily welcome you to the capital of the Ural region and congratulate you on this great education event! Today, the capital city of the Urals is a vibrant metropolis providing people with conditions for a comfortable life. 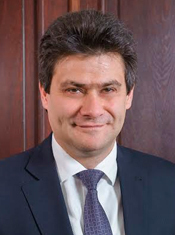 Ekaterinburg has earned a reputation as a center of international business and cultural cooperation. Innoprom, SCO and BRICS Summits, the Ural Night of Music, the Europe-Asia Marathon, the European Judo Championship and many other large-scale events have become the hallmark of the Urals capital, emphasizing its status and significance in Russia and abroad. Just recently, a grand event took place in Ekaterinburg - FIFA World Cup. But the most interesting is yet to come: in 5 years the city is going to celebrate its 300th anniversary! The Ural capital traditionally welcomes its guests as good, and most importantly, long-awaited friends. 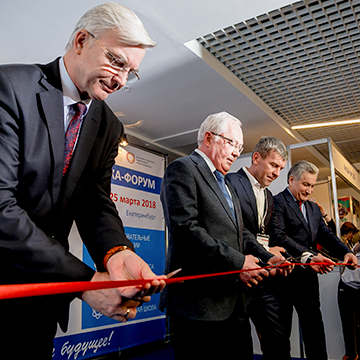 The fact that the International Education Exhibition and Forum SMART EXPO-URAL is held in Ekaterinburg undoubtedly proves that the Ural capital’s education system enjoys a high status. I hope that, despite your busy schedule during the exhibition and forum, you will find time to go sightseeing and discover other places of Ekaterinburg. I wish you fascinating life moments, interesting and inspiring ideas, as well as success and fun in everything you do! Dear participants and visitors to the Education Exhibition and Forum SMART EXPO-URAL 2019! It would not be exaggerating to say that the education exhibition and forum SMART EXPO-URAL has reached a new level. Promptly responding to changes, the organizers and participants bring the most acute issues related to the state education policy at the top of the agenda. 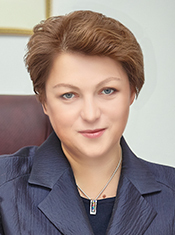 The issues to be discussed include education for children with special needs, development of giftedness, running research activities, development of communication skills, socialization of preschool and school children, self-realization and choice of future professions, creation of digital school environment and use of digital technologies in education. Traditionally, the education system represented here covers various aspects and demonstrates its openness to cooperation, while providing opportunities for personal and academic education and facilitating the career choice. The slogan of our time could be «Education as lifestyle», because lifelong education is a must-have for everyone who proactively plans their educational and professional path and wants to be able to decently face life challenges. SMART EXPO-URAL has become a perfect platform where all industry professionals can exchange today’s educational technologies and resources, demonstrate the best teaching practices and discuss features of modern technologies that can be integrated into the education. I am glad that SMART EXPO-URAL brings together leading industry professionals in order to find innovative approaches and technologies which can modernize the education field, personalize learning and make it more effective. By doing so, this event promotes the region’s educational system, and helps it to become more powerful and competitive. Dear participants and visitors to the Education Exhibition and Forum SMART EXPO-URAL! I wish you success, discoveries, development and fruitful cooperation for the benefit of education. The dynamically developing life makes the ability to foresee and respond flexibly to changes an important skill. It is also important to be sensitive to a new reality and to be able to find bright and potentially interesting ideas that could be developed and used in the education activities. 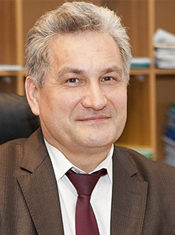 In Ekaterinburg, general and vocational education organizations have gained an extensive experience of innovative activities. This is the basis for the development of the city’s educational complex, which includes a variety of ideas and technologies aimed at improving the education quality in each organization. A wide range of presented works and results will add an impetus towards comparing the topics and contents of projects that have been being implemented in education institutions with the current development trends observed in the Ekaterinburg educational complex. It will also facilitate the transfer of efficient processing and analyzing data tools to new research organizations, as well as encourage the creation of new communities of teachers and education managers aimed at improving the performance and the teaching quality of educational organizations. Besides, new social partners that could be found thanks to the existing experience will help to expand the spectrum of activities and to engage the resources of our large, diverse and modern city. SMART EXPO-URAL is a public display of the results achieved by the educational system and a platform for professional development and identification of future trends in education. Dear participants and guests of the International Education Exhibition and Forum SMART EXPO-URAL! May your professional experience and your ability to think and act in accordance with the calling of the time allow you to strive for new achievements. I wish you professional success and good luck with your most daring ideas and projects! Dear participants and guests to the exhibition! The Interregional exhibition company-Ural welcomes you to the annual International Education Exhibition and Forum SMART EXPO-URAL! This education exhibition in Ekaterinburg brings together not only education institutions of all levels, from kindergartens to universities, but also displays innovative education technologies, up-to-date classroom equipment, modern school uniform, education programs, teaching aids, school safety systems and much more. The geography of exhibitors is broad, like every year. Companies and organizations from many cities and towns of Russia and Germany participate in our event. This year, visitors show a significantly bigger interest in the exhibition and forum. Together with our several respected partners and, above all, the Ministry of General and Professional Education of the Sverdlovsk Region and the Education Department of the Ekaterinburg City Administration, with the support of the PJSC Bank «Ekaterinburg», we have created a professional event-packed forum program. Leading speakers – educators and scientists, publishers and education technology developers, authorities and business representatives, children’s learning centers and psychologists - will take part in panel discussions presentations, workshops and consultations. The younger generation and school graduates could get familiar with further education opportunities and outline their career prospects in a selected field. A large exhibition and interactive program covers all of the three floors at the Ural Design Development Center, at the Quantorium, in the chess space and in the Architecture and Design Museum of the Ural State University of Architecture and Arts. Nobody will get bored at the exhibition! We are sure that not only the exhibitors and speakers, but also numerous visitors - teachers, schoolchildren, students, preschool children and parents, citizens and guests of the Urals’ capital – will spend three efficient exhibition days and gain important knowledge, creative ideas and new contacts that could be useful for achieving their professional, scientific, creative and life goals! SMART EXPO-URAL shows that «Smart solutions bring a successful future»! I wish you all successful and fruitful work!